Harry Potter Group. This is of most of the main characters of Harry Potter. 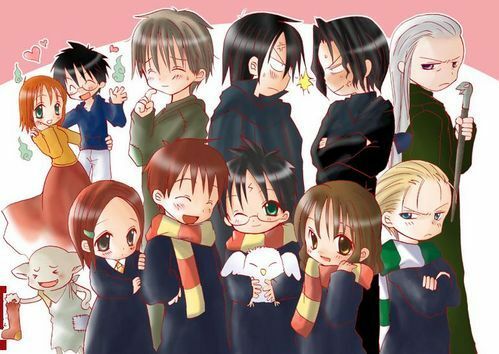 I don't own this btw.... Wallpaper and background images in the Harry Potter Anime club tagged: harry potter cute hermione sirius ron dobby malfoy characters group. This Harry Potter Anime photo might contain potret, headshot, closeup, and headshot closeup.